One of the legendary Four Philosophers whom are said in an endless slumber. The philosopher controls Death. 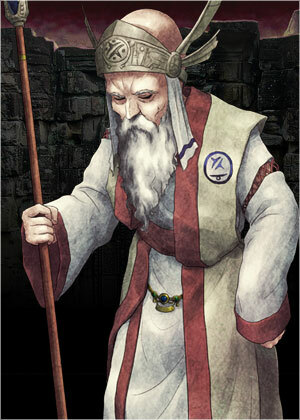 Has the best knowledge among the clan, and knows all the history and the secrets of the ruins. He gathered priests who have knowledge as well as him and fell to an endless slumber as the Four Philosophers. His real age is over 90 according to legend, and he is said the core pillar who decided the way the clan sets out and future of the ruins.